You’re reading novel Chaotic Sword God Chapter 587: The Advent of a Powerful Enemy online at LightNovelFree.com. Please use the follow button to get notification about the latest chapter next time when you visit LightNovelFree.com. Use F11 button to read novel in full-screen(PC only). Drop by anytime you want to read free – fast – latest novel. It’s great if you could leave a comment, share your opinion about the new chapters, new novel with others on the internet. We’ll do our best to bring you the finest, latest novel everyday. Enjoy! “Your Majesty, are you saying to get rid of this group?” The elder inquired. “Master Ke Yun, I’ll be troubling you this time. I hope that you will be able investigate the Flame Mercenaries yourself and see what their goals are. If they wish to stay within the kingdom as they try to grow, then I will of course welcome them. But if they wish to steal away people or anything else that could affect our kingdom negatively, then we must strike them down at once without mercy.” The king spoke. “Understood, I know what needs to be done.” The elder nodded before turning around to leave. “Thank you for your concern, your Majesty!” A brief smile and bow was given to the king before Ke Yun continued on his way out from the study with his held high. Within the Cloud Capital, discussion had run rampant throughout the next two days. Whether it was the main streets, hidden alleyways, or the restaurants and inns, everyone could be heard talking about the Flame Mercenaries. The Flame Mercenaries had appeared in the Cloud Capital as if out of thin air. Then with unbelievable speed, they had combined the powers of the first-rate factions into an even bigger ent.i.ty. News like this would definitely cause a major buzz within the city. Consequently, this had caused the second and third-rate factions to feel slightly nervous. For the entire day, they had been extremely nervous to the point of having some clans electing to temporarily leaving the city and hide away until the crisis was gone. They were afraid that the hands of the Flame Mercenaries would stretch towards even them. Many--if not all--of the factions did not want to lose the power they had worked for to become a lackey for another. Of course, not every of these factions had been like that. Some of them had even took the initiative to look for the Flame Mercenaries in hopes of joining it. When the dozen major clans that had initially joined were given the command from Jian Chen, they began to accept all of the newcomers into the mercenary group without declining a single one. Right now, the Flame Mercenaries needed new blood to join the Flame Mercenaries. When it came to management, Jian Chen wasn’t concerned. The dozen clans had enough power to lay down the law on their own and could easily manage their own mercenaries too. From the other side, the lord of the city had not been as happy to see more and more people join the Flame Mercenaries. The more people that joined in fact, the more nervous he became. Nothing could be done on his part to ebb this chaotic maelstrom that was happening within his city aside from standing in silence on the sidelines and hope that someone from the kingdom would come in to interfere. “It is fortunate that the Feral Mercenaries are all out on a mission, otherwise they might have been annexed into this mess too.” The lord muttered. In the blink of an eye, the maelstrom had only gotten bigger. Four days had pa.s.sed now, and the Flame Mercenaries had continued to swallow up even more factions into their folds. News of what had transpired in the city had even made its way across the entire Blue Wind Kingdom. No matter if it was a big or small city, each and every one of them had heard about it. Whether people believed it or not, the news that they received had sparked a paradigm s.h.i.+ft in the Blue Wind Kingdom--the rise of a new powerful faction had come. A long ways away from the Cloud Capital was the First Cla.s.s Tianlong City. Within the biggest mansion in the city stood a middle-aged man. Cloaked in white robes, this man stared out at the pond in front of him with both hands behind his back. This! This was the lord of Tianlong City! Inside another room in the same mansion sat Katata and Katafei. Seated at a table, the two of them were discussing with one another over a bottle of wine. “I do!” Katafei spoke. As the stoic one of the two, he cherished his words as if they were gold and did not dispense them easily. “How are you so sure?” Katata pressed on. “Jian Chen’s strength is an unknown to us, but to have a Sixth Cycle Earth Saint Master at his beck and call? It is him.” Katafei spoke. There had been suspicion and confusion to be in his mind, but his face betrayed none of those emotions. Jian Chen was at this moment sitting on top of his bed within the inn of the Cloud Capital. As he was trying to cultivate, Xiao Bai continued to roll around on the covers of the bed for amus.e.m.e.nt. It had been fortunate that the cover was a very simple and inexpensive one, for it had already been torn to shreds by the claws of the tiger cub. Jian Chen had not left the inn for several days and spent his time cultivating in his room to wait for everyone else to fully recover and finish what was left before embarking on their trip out from the Cloud Capital. “Captain of the Flame Mercenaries, make your way to see us at once.” Suddenly, a voice like thunder had boomed through the skies. The speaker’s voice had been so strong that it seemed to shake the world itself. The streets shooked and the buildings quivered--even the clouds had been blown away to reveal the sun behind it--everyone had heard the voice to what very well might belong to a G.o.d. For a moment, the entire Cloud Capital was quiet before suddenly erupting into a cacophony of sound. Everyone had turned their heads to the skies as if trying to find the origins of the voice. “I see them, look! Over there! Two men in the skies! Those are Heaven Saint Masters!” Suddenly, an excited middle-aged man pointed erratically at a point in the sky with a loud cry. The heads of everyone in the city turned to look where the man was pointed at--and indeed--there were what appeared to be two tiny ant-like dots up in the sky. While small in figure, the might that exuded from them made them look more like G.o.ds descending upon the mortal world. Everyone had been furiously discussing this topic with some hidden glee. But those who had joined the Flame Mercenaries already had gone pale in the face. From every part of the Cloud Capital, several dozen factions that had aligned with the Flame Mercenaries came filing out. When they saw the two Heaven Saint Masters floating high in the sky, their faces had gone pale. Those who had been forced into joining had a happy look on their faces, but those who had willingly joined had felt a fearful look spread on their faces. A single Heaven Saint Master was already enough to worry them. But two Heaven Saint Masters was a tremendous amount of pressure on them. From within his own room, Jian Chen slowly opened his eyes to look up. At the same time, the doors to his room opened to reveal Ming Dong and the others. “Jian Chen, two Heaven Saint Masters are here--how rambunctious they are to strut here and there on the skies--do they think no one knows who they are? Hah, if they’re willing to try it, I’ll beat them black and blue until they run away.” Ming Dong laughed. In his eyes, a Heaven Saint Master wasn’t some sort of unreachable ent.i.ty he could not chase up to. “Captain of the Flame Mercenaries, come on out at once.” Don’t think that hiding away in the city like a tortoise will help you.” This time, another voice had exploded out from the skies with a reverberating echo. A cold smile appeared on Jian Chen’s own face. “Stay here, I’ll go out to greet them myself!” As soon as he spoke, a single hole had suddenly appeared on the top of the roof, revealing the bright azure skies beyond it. Not even a second later, Jian Chen had already disappeared from his bed into the skies. 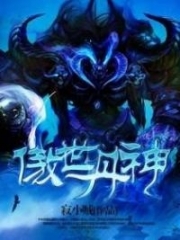 You're reading novel Chaotic Sword God Chapter 587: The Advent of a Powerful Enemy online at LightNovelFree.com. You can use the follow function to bookmark your favorite novel ( Only for registered users ). If you find any errors ( broken links, can't load photos, etc.. ), Please let us know so we can fix it as soon as possible. And when you start a conversation or debate about a certain topic with other people, please do not offend them just because you don't like their opinions. You're reading Chaotic Sword God Chapter 587: The Advent of a Powerful Enemy. This novel has been translated by Updating. Author: Xin Xing Xiao Yao already has 11085 views. Current Time is Apr-18-2019 19:21:06 PM.